Ferries Piombino Cavo - Book online at Ferriesonline.com ! Would you like to compare the best offers and timetables for ferries for Sardinia? We can offer you the most convenient times and fares. Discover all the departures by ferry and hydrofoil to Capri. Are you ready to leave to discover the wildest beaches of Corsica? Book a ferry now. You can quickly book your ferry to the Island of Elba? The 6 miles that separate Piombino da Cavo are covered by the Moby ferry ships in 35 minutes while the hydrofoil that transports only passengers takes 20 minutes. The connections are made only during the summer with the ferry with a maximum of 4 daily departures. 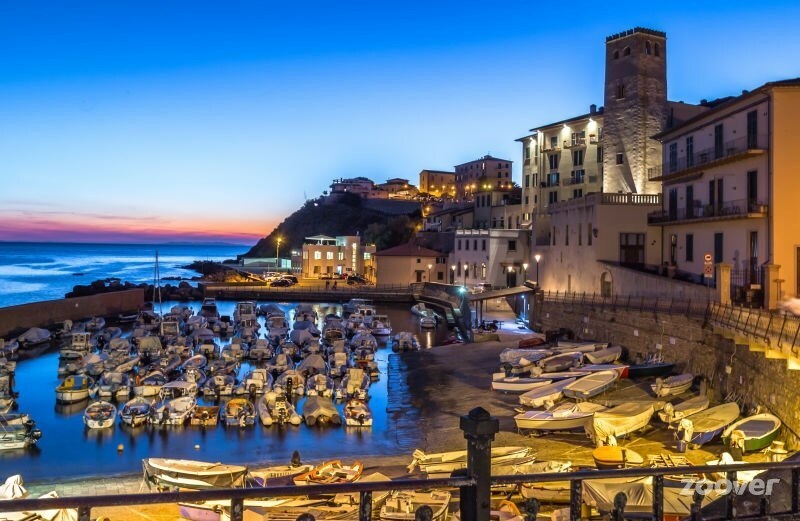 The hydrofoil connects Piombino and Cavo all year with 4 daily departures. These are the upcoming departures, but you can choose the period you like best. The port is easily accessible following the signs. via Tosco Romagnola, 1603 - Cascina (PI). P.I. 01279870495, venue listed at C.C.I.A. of Pisa ranked # 137953. Aut. Administrative/travel activities # 154 of May 4, 2000 issued by the province of Livorno. Share capital € 20,800.